I am so, so excited to share today’s post with you. Yes, that’s so, SO excited! 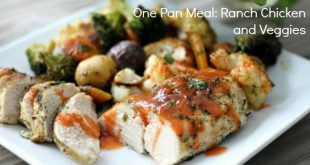 The Clean Dish has quickly become my #1 favorite cooking blog and I think you’ll see why after reading this recipe from Rose, the author and creator of this real food blog. Her photos are stunning, her recipes are amazing and she is one cool chick. I first fell in love with The Clean Dish after making her Raspberry “Better Than Cheesy” Cheesecake. Talk about divine! After that I tried her Coconut Surprise Bars. All I can say is go make them now 🙂 In my eyes, Rose can do no wrong and everything she posts is pure gold. I love her creativity, her food photography and her passion for real food. 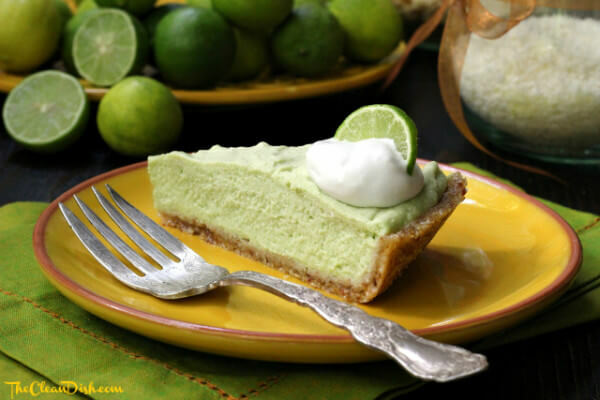 Take one look at this Key Lime Pie recipe she created especially for us and I know you’ll become a fan of hers just like I have! Make sure to follow along with The Clean Dish on facebook, too! 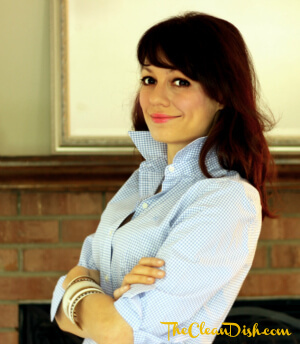 Hi there, my name is Rose; author of The Clean Dish! 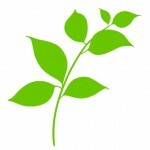 I am very excited about posting for Kelly as I have been following her blog for quite some time. Kelly and I share the same love for real food, clean eating and staying fit and healthy! 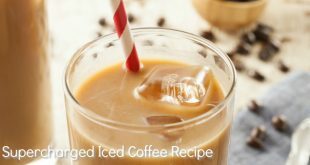 Since it’s officially summer – not just in my current home state of Florida – I have been trying to stick with no-bake recipes. I personally don’t mind turning on the oven for light, summery baked goods like my Raspberry Sour Cream Crumble Cake but overall, I prefer to spend more time outside and less time in the kitchen so here it is: My recipe for a raw, grain-free, processed sugar-free and above all, dairy-free Key Lime Pie! Those of you who read my blog know that I am a German citizen; I moved to the US less than three years ago so things like Key Lime Pies (and drive through pharmacies) are still new and kind of exciting to me! 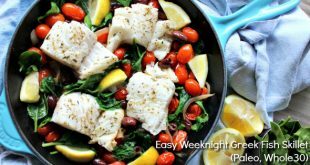 I am particularly excited about this recipe right here as I had a lot of fun “healthifying” it! Even during times when I was big into dairy, I wasn’t a fan of condensed milk (which is typically used in key lime pies) and to replace it with coconut milk was the only logical choice 🙂 I added two avocados for creaminess and beautiful light-green coloring but also because I try to include healthy fats into my diet whenever I can. Please note that this cake must be refrigerated at all times– it melts pretty quickly if you keep it out for too long! Enjoy! Some cans of coconut milk seem to produce thin (or thinner) coconut cream. If the coconut cream that has accumulated on top of the coconut milk is rather liquid-y, you may have to use the hand mixer for up to 5 minutes to stiffen the cream and add 2 tablespoon of coconut flour to the avocado mix rather than 1 tablespoon. Hi – My name is Rose! 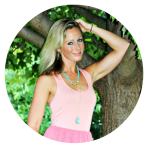 I am a German citizen, real food advocate, military wife and since February 2013, author of the recipe blog The Clean Dish. We currently live in North Florida – but home is where the Army sends us! I enjoy developing recipes and just started getting into food photography. All of my recipes are grain free, processed sugar free and some are vegan. If I’m not busy in the kitchen, I like to go on long walks with my feisty little Eskimo dog Biscuit. I try to stay active as I believe physical fitness is the key to a balanced life style – I love trail running, rock climb, snorkeling and cross country skiing – if I ever get the chance. I dream about traveling the world to write about food and artisan wine but for now, I am perfectly happy with a simple life of home cooked meals, dinner with friends and weekend trips to the beach. Come on over and visit me at The Clean Dish to check out my latest creations! What you are calling ‘coconut milk’ is actually the water separated from the milk. The ‘cream’ is the milk and fats solidified from refrigeration. Coconut milk is the water and milk fats mixed together. You do want to buy one with no preservatives and in a BP free can. I use natural Value for that reason. Thank you for helping to clarify the use of coconut milk in this recipe. THANK YOU, Rose for sharing this creation! This looks amazingly good! My husband’s favorite dessert! I just recently made him the avocado chocolate pudding and he had to admit it was good. This will be the next avocado dessert I try to sneak over on him. Hahaha! I do the same thing to my husband 🙂 Hope you both love this! Hi! Wow, the moment I saw this I was thinking I just have to make it! Looks just mouthwatering! I’ve been hesitant about using avocado in recipes like this, can you taste it? Also, some day coconut oil/butter/mana is all the same, but I’ve seen it all sold with those different titles. Is this recipe ok using oil or do you need the butter? Coconut oil and butter are definitely NOT the same. Butter is highly pureed coconut flakes whereas oil is just the result of pressing coconuts. If a recipe calls for butter and you use oil, you will almost certainly get an unsatisfactory result. Hehe! I fed it my husband last night, he loved it, said it was “Amazing!” but he still has no idea that there is avacado in there! Our little secret, right!? 🙂 No, you cannot taste the avacado…I’ll admit, I was a little hesitant, and worried it would taste a little like guacamole pie! 🙂 But I love guacamole, so why not!? But, no, all you get is an amzingly tart and sweet and rich key lime pie! Thank you Rose, and Kelly for bringing it to us! Would raisins sub for the dates? Can you use Coconut Cream Concentrate in lieu of seperating the water from the cream or will it set up too hard? Its normally solid at room temperature..
WOW this pie is totally delicious! I’ve already had two slices! 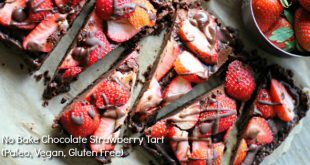 I’m new to the world of raw foods, but this crust recipe is the best I’ve found thus far – I’m planning on incorporating it into other pie recipes! Fantastic! I made this today, and substituted the lime for lemon (had an abundance of fresh lemons). This got the seal of approval from everyone, from my husband through to my 5 and 2 year olds. Do you have a substitute for almonds??? This looks awesome! 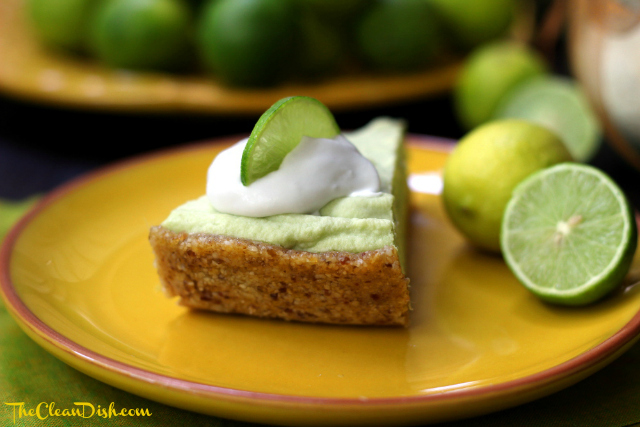 I love key lime pie, but am allergic to avacado….what could I sub instead? What size avocados do you use? I just made this pie tonight and it is delicious. It’s going to take a lot of willpower to resist finishing the whole thing! The crust is unbelievably good! Thanks for sharing the recipe. Just made this and it tastes AMAZING! So rich with a lovely sharp lime flavor. Two things though, next time I’d make more of the crust because mine didn’t come up the sides of the dish (I probably like it too thick on the bottom!). Also, I’d love some more tips on how to dress it up and make it look fancy like in your picture. How did you make that cream on the top? What called my attention was the heading of this post, “raw key lime pie”, it looks delicious but this is not raw as it has canned coconut milk and toasted almonds, I will try it thou, just will substitute for raw ingredients!!! I DO NOT THINK THIS CAN BE CONSIDERED ‘RAW’, SINCE THE COCONUT MILK IS CANNED. This is delicious! And I don’t even like key lime pie normally. The texture of the filling is like sorbet…the crust is so good. 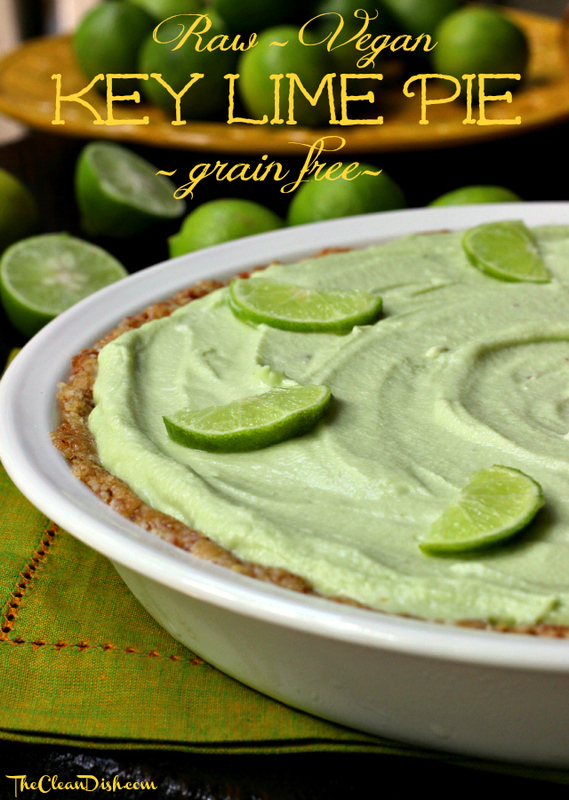 My husband’s favorite dessert is key lime pie, but we’re not eating dairy or oils right now, so this is perfect! Thank you! !